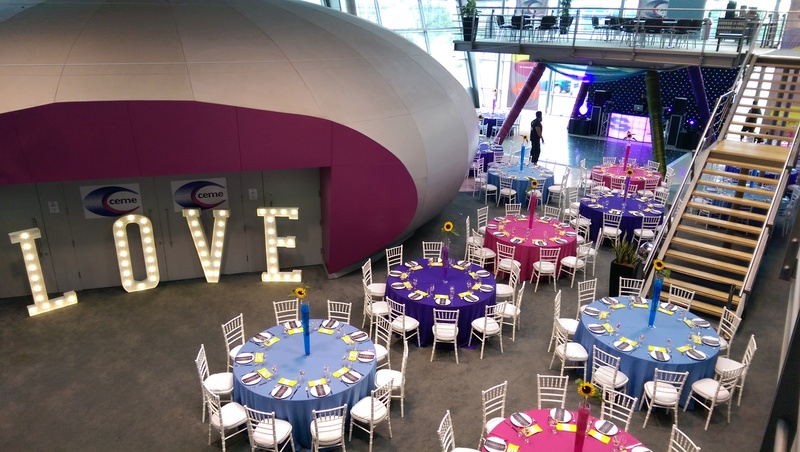 Do you need an impressive, open area for exhibitions, product launches, fashion shows, dinning, celebrating or hosting large number of people? 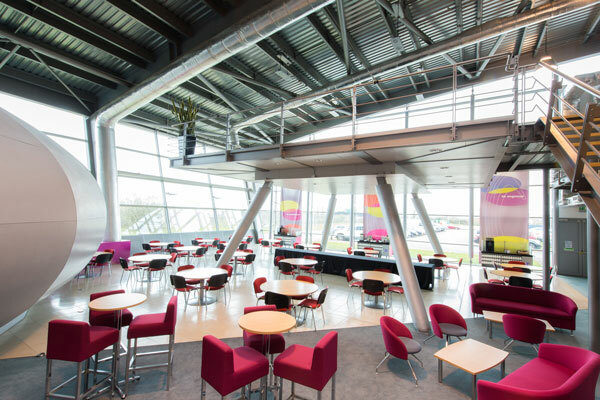 Are you looking for open space and breakout areas to allow people to circulate and talk in a more informal space? 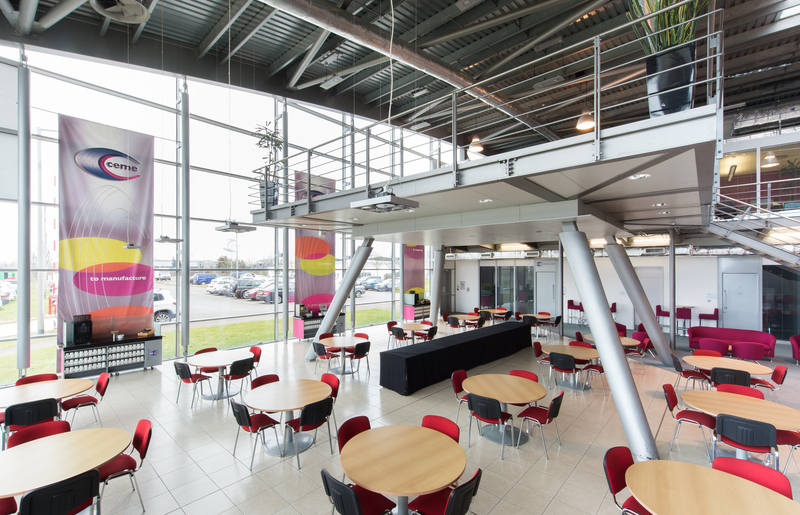 Do you want a venue offering all the mod cons and free parking? 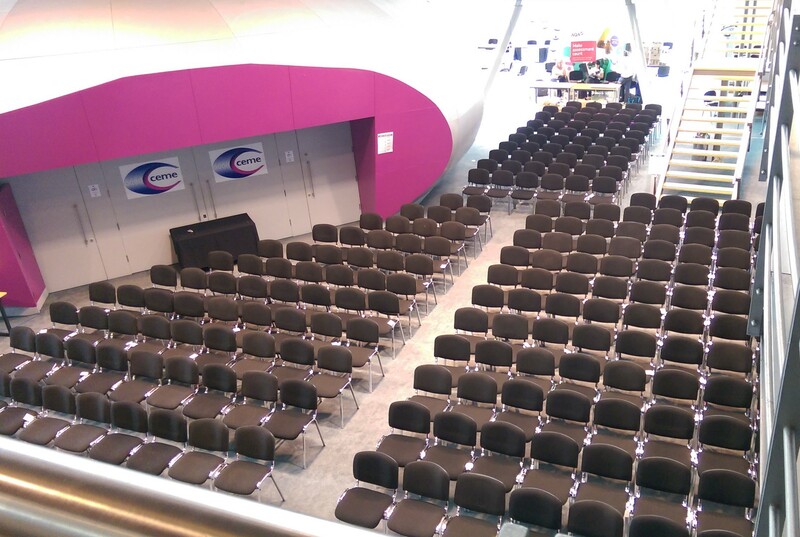 If the answer is yes, the circulation areas at CEME Conference Centre is the event space for you. 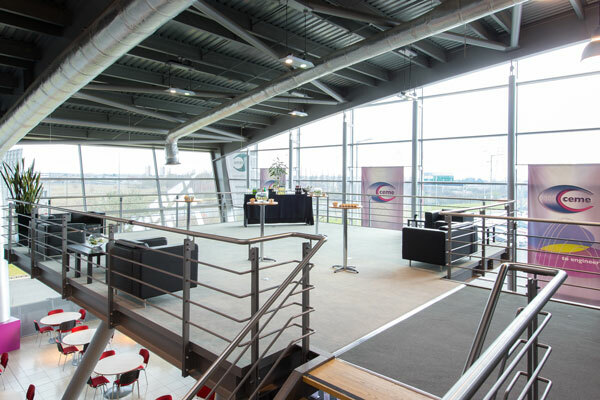 Both offer well lit, open plan areas, featuring internet access, air conditioning, 3 phase power and natural daylight throughout, enabling you to hold a wide range of events. 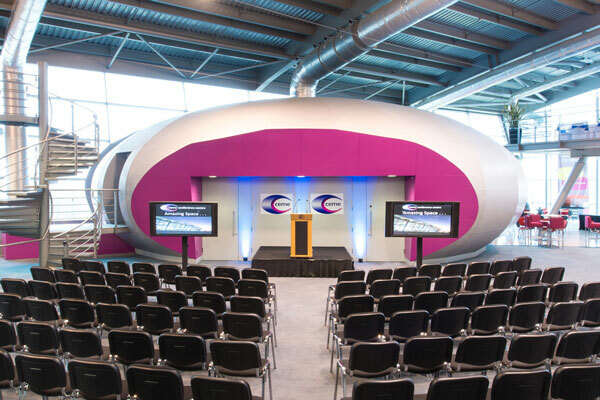 The POD Circulation Area: Our large, spacious circulation area, containing our POD Theatre, is the centre-piece of our facilities. 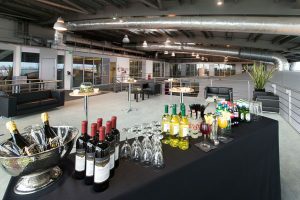 Surrounded by glass and steel with an abundance of natural daylight and an attractive over-head mezzanine floor level, the space is perfect for breakout sessions, exhibitions, fashion shows, product launches, weddings, parties, private dining and receptions. It also offers a PA System and Vehicle access. The POD Deck: Our first floor mezzanine level overlooking the POD Circulation area offers a more compact, but no less impressive, space for exclusive dinners and receptions, networking and breakout sessions. CEME’s philosophy is to offer a variety of fresh, tasty, and healthy options using the highest quality of ingredients, prepared fresh on site each day. So whether you are looking for a three course menu with champagne on ice, street food, sandwiches, cooked breakfasts or afternoon tea, the hardest thing you have to do is choose what to order! We also cater for vegetarians, vegans, gluten-free and special dietary requirements too. Why hire our circulation area for your event? 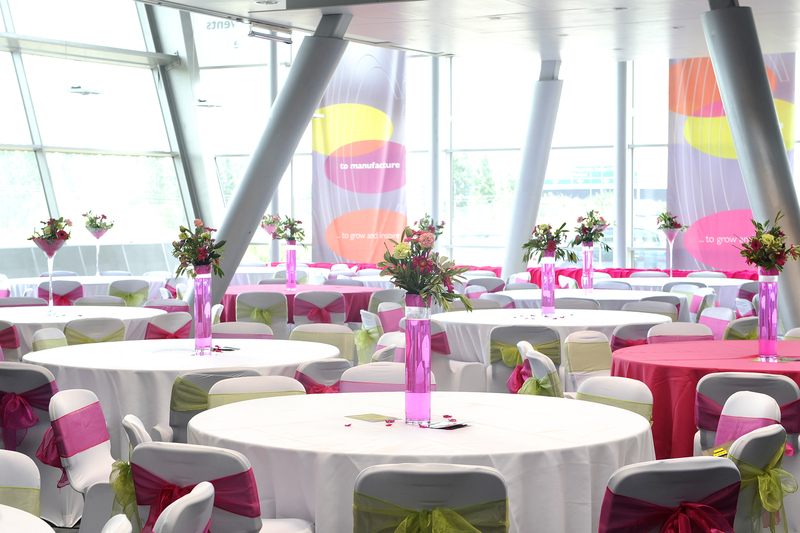 From the moment your enquiry hits our desk, through to the end of your event, our experienced, award winning CEME events team are on hand to answer any questions and ensure your CEME experience goes without a hitch. 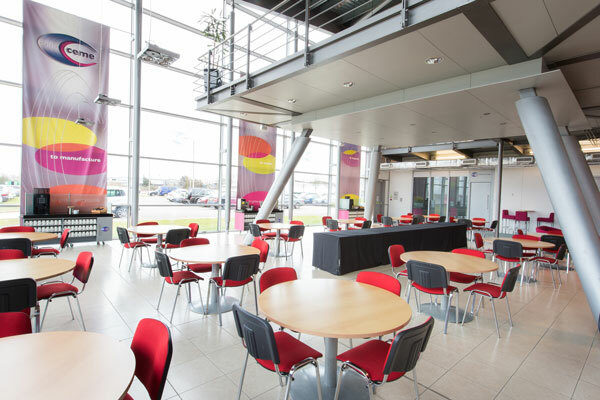 You can rest assured that our friendly staff offer a warm welcome to all your colleagues and that our knowledgeable technicians will support your AV requirements. 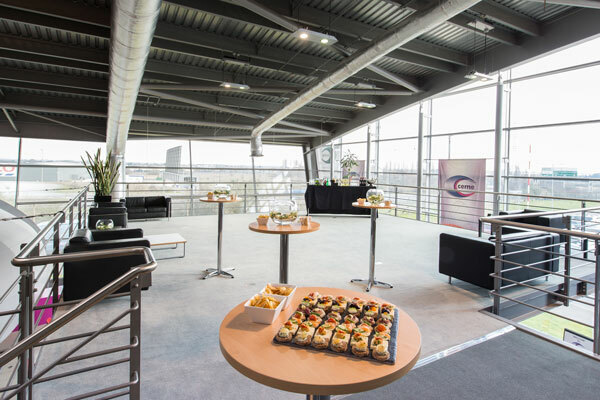 So get in touch today to hire our circulation space: Tel: 020 8596 5151, Email: events@ceme.co.uk or use our contact us form.